When we experience a significant loss in our lives, it seems as if an awful lot of “experts” suddenly emerge from the woodwork and have no problem offering us all sorts of sage advice – whether we asked for it or not (usually not). But in my experience, when we are in such a fragile state, we have to be very careful about who we listen to. This might sound harsh but I strongly suspect that much of the time, the advice people offer is a projection of their own beliefs and ideas. That’s not to say that it isn’t well meaning or spoken out of love…it’s just that what we are hearing isn’t necessarily the best advice for us. Rather, it could very well be a reflection of what the other person thinks they would do IF they were in our situation…or what they did when they were in a similar situation. If you have recently (or not so recently) experienced a significant loss – or know someone who has – you may find this rather candid letter of use. It is an excerpt from my creative non-fiction book, A Widow’s Awakening. I was 32 when my husband, a police officer, died in the line of duty. This letter appears (in its entirety) near the end of the book – after another police officer in our city died on the job. 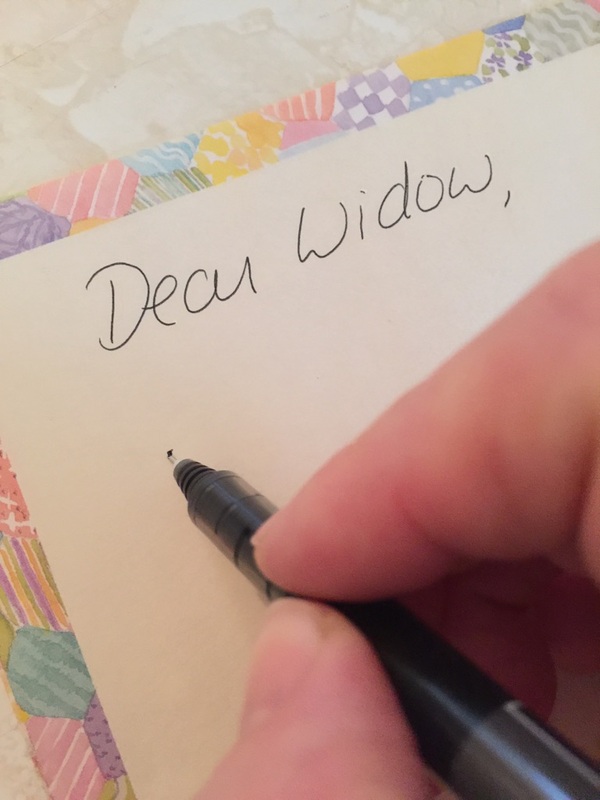 I had been a widow for a year by that point, so this letter sums up some of what I’d learned. Don’t underestimate the immense power of love and its unexplainable mysteries. Yet do not lie to yourself about the fact of death, choosing instead to become consumed by the psychological reaction to it – what we call grief. Do not deny yourself the experience of feeling the pain. Don’t pretend you’re OK, when it feels as if your heart has been ripped from your body but you’re not lucky enough to die along with it. Don’t be angry with the idiots who whisper in your ear to ‘be strong’ and not worry because ‘you’re young.’ Or that it’s a GOOD THING you didn’t have children together – or that your loss couldn’t possibly be as bad as losing a child. Don’t take it too personally when those around you move forward with their own lives while you’re left sitting at home, staring at the walls, kissing photographs of your dead husband and wondering what the hell just happened. And do not fool yourself into thinking that it’s your job, and your job only, to ensure your husband’s memory is honoured. Do not twist a religious belief to fit your desires. If and when the suicidal thoughts come, do not give in to the self-pity monster. Be careful about fantasizing about another guy because doing so makes you temporarily feel better about the great one you just lost. Yet if a new relationship feels right with all your heart, don’t let guilt stop you from being happy again. 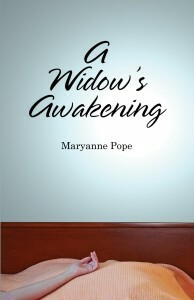 For details on A Widow’s Awakening and/or to order a print copy, here is the link. 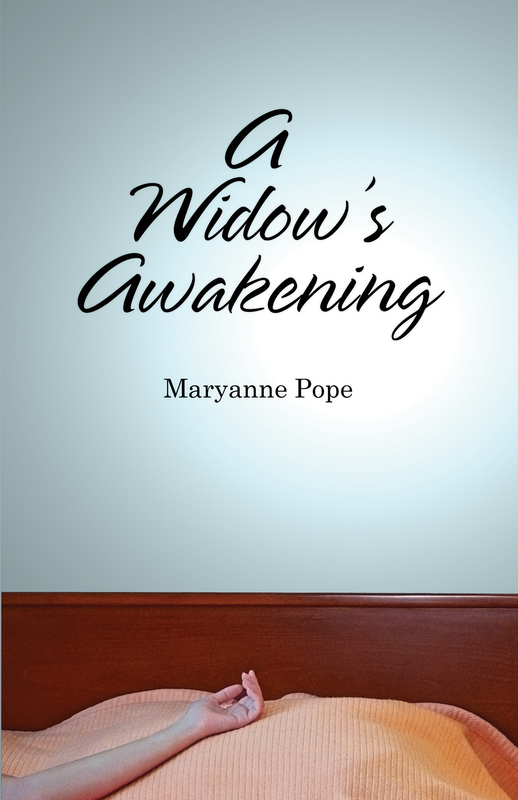 Maryanne Pope is the author of A Widow’s Awakening, the playwright of Saviour and the screenwriter of God’s Country. Maryanne is the CEO of Pink Gazelle Productions and the Chair of the John Petropoulos Memorial Fund. If you would like to receive Maryanne’s weekly blog, please sign up here. As a thank you, you’ll receive a short but saucy e-book entitled, Dive into this Chicago Deep Dish – Ten Bite-Sized Steps for a Yummier Slice of Life. That was a good and truthful letter. At the time it is all too much. But one thing is for sure Johnnys memory and work has been honoured because of you. Thanks, Joyce…Hope you had a nice Thanksgiving!